Preparing a home for sale is no small feat. and it’s often overwhelming to clear spaces that have been lived in for years. Most homeowners typically have too much furniture, too many picture frames, and a half dozen family souvenirs crammed in every room. Don’t even get us started on the stained carpet, chipped wall paint, and scratched floors that come with everyday wear and tear. If you’re getting ready to sell, it’s time to take the first step: staging your home. Trust us when we say it’s worth the small investment of time and money. 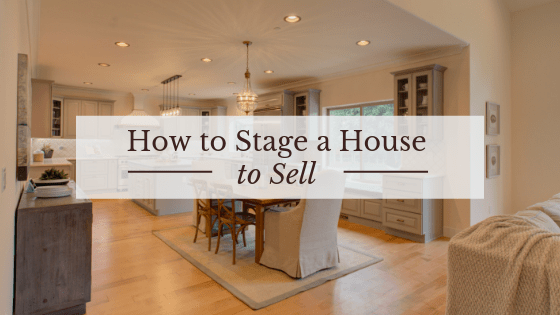 Homes that are staged sell quicker and for considerably more than the ones that have not been staged. 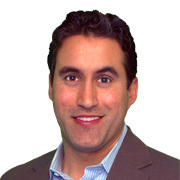 Home staging is considered a marketing technique. It turns your average, personalized home into a showpiece that will appeal to the greatest common denominator of buyers so it will sell quickly and at the best price point. Staging uses specific techniques to highlight the room’s architectural features, make the rooms feel large and inviting, and ultimately make your home more desirable to buyers. When prepping a home for the market, you will want to remove some furnishings to make the home appear larger and more comfortable. Doing this can be a considerable challenge, especially if you’re still living in the space. Start by taking a look at what you have and ask yourself what you can live without–the answer is probably with a lot less than what is cluttering up your rooms. That about sums it up! An unkempt home is distracting to buyers so until the day it sells, your home should shine like it’s never shined before. You will want to have your home deep cleaned by a professional and try to maintain it until it sells. Natural or artificial? It doesn’t matter–light should flood the home! Leave your curtains wide open and swap out dull or burned out light bulbs for ones with higher wattage. Replace old and antiquated light fixtures, and be sure to use warm light. Light brings life to a space and makes it feel much bigger! The next step is to reposition sofas and chairs into conversational groups so that the traffic flow is evident. This flow makes your space seem more user-friendly and spacious. While you’re doing this, feel free to play “musical furniture” by swapping items across rooms or repurposing spaces, especially those awkward ones that every house tends to have. You’re appealing to the buyer so want to create balanced spaces. In general, the walls should be warm and neutral. Neutral paint colors help to mask dated features of spaces, and it’s overall clean and appealing. However, you don’t want your house to look like a bowl of oatmeal. Give it Make sure trim and doors shine and are free from scuffs and scratches. This one is important. Nobody wants a house with a million little improvement projects so take the time to make small repairs. Minor problems are a big turn off because it sends the message your home wasn’t cared for. There are more homes on the market today, and home buyers can afford to be picky. When your home falls into “fixer” status, you eliminate an entire pool of buyers. A staged home will sell for 17% more on average than a non-staged home, and most staged homes sell faster. Working with a professional stager will bring the best results. Professional stagers know how to transform dull spaces and make them inviting. They provide furniture, bedding, and decor that will make your home show like a model home. Stagers generally charge by the size of the home and the number of rooms. Expect to pay about $2500-$3000 for an average sized 3 bedroom 2 bath home. Along with a number of services we provide to highlight our client’s homes we offer complimentary custom staging when you list with us. Our staging will highlight the best features of your home and allow buyers to properly envision themselves in the space. We work around your needs whether that means adding furniture and decor to match the style of your home or starting from scratch with an empty home. For more information about our staging or to set up a complimentary consultation of your home, please contact us.